Pretty golden yellow, silky dolly bag (h24cm,w21cm,depth 7.5cm). 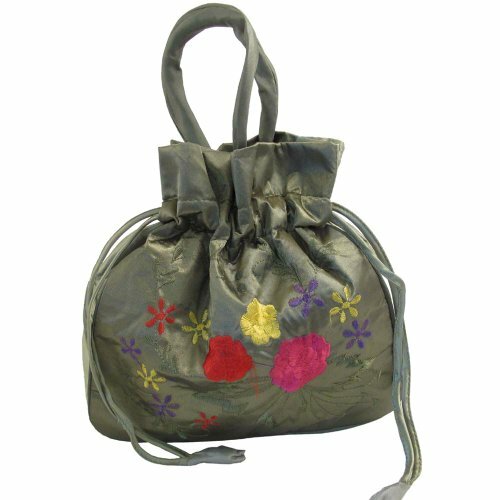 The bag is attractively embroidered on both sides and is fully lined. With matching handles and draw-string closure. Great value, so why not treat yourself today? Also makes a fantastic gift.